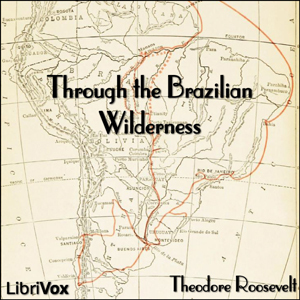 Roosevelt's popular book Through the Brazilian Wilderness describes his expedition into the Brazilian jungle in 1913 as a member of the Roosevelt-Rondon Scientific Expedition co-named after its leader, Brazilian explorer Cândido Rondon. The book describes all of the scientific discovery, scenic tropical vistas and exotic flora, fauna and wild life experienced on the expedition. One goal of the expedition was to find the headwaters of the Rio da Duvida, the River of Doubt, and trace it north to the Madeira and thence to the Amazon River. It was later renamed Rio Roosevel. Roosevelt's crew consisted of his 24-year-old son Kermit, Colonel Cândido Rondon, a naturalist sent by the American Museum of Natural History named George K. Cherrie, Brazilian Lieutenant Joao Lyra, team physician Dr. José Antonio Cajazeira, and sixteen highly skilled paddlers (called camaradas in Portuguese). The initial expedition started on December 9, 1913, at the height of the rainy season. The trip down the River of Doubt started on February 27, 1914. During the trip down the river, Roosevelt contracted malaria and a serious infection resulting from a minor leg wound. These illnesses so weakened Roosevelt that, by six weeks into the expedition, he had to be attended day and night by the expedition's physician, Dr. Cajazeira, and his son, Kermit. By this time, Roosevelt considered his own condition a threat to the survival of the others. At one point, Kermit had to talk him out of his wish to be left behind so as not to slow down the expedition, now with only a few weeks rations left. Roosevelt was having chest pains when he tried to walk, his temperature soared to 103 °F (39 °C), and at times he was delirious. He had lost over fifty pounds (20 kg). Without the constant support of his son, Kermit, Dr. Cajazeira, and the continued leadership of Colonel Rondon, Roosevelt would likely have perished. Despite his concern for Roosevelt, Rondon had been slowing down the pace of the expedition by his dedication to his own map-making and other geographical goals that demanded regular stops to fix the expedition's position via sun-based survey. Upon his return to New York, friends and family were startled by Roosevelt's physical appearance and fatigue. Roosevelt wrote to a friend that the trip had cut his life short by ten years. He might not have really known just how accurate that analysis would prove to be, because the effects of the South America expedition had so greatly weakened him that they significantly contributed to his declining health. For the rest of his life, he would be plagued by flareups of malaria and leg inflammations so severe that they would require hospitalization.